In this article we are going to work backwards to understand ultimately how your hips can affect the flight pattern of your golf ball. 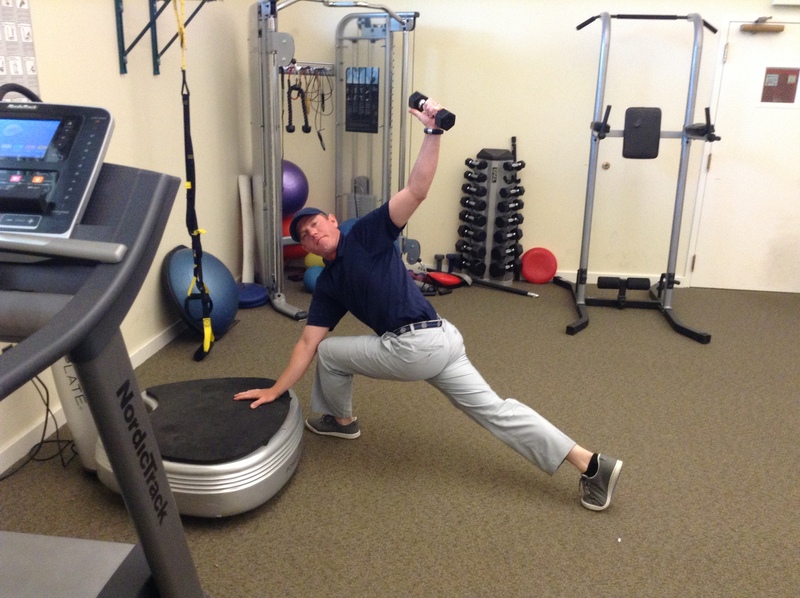 At the end I will present an easy exercise matrix to help you prevent the negative effects tight hips can have on your golf swing and ultimately your ball flight. When we are looking at ball flight and the golf swing that produces that ball flight, there are a few basic areas that we can discuss that will help further our discussion on the effects of the hips on the golf swing and the ball flight. For example when we see a ball flight for a right hander fall to the right during the ball flight, we immediately think, “slice” and then we comment, “Nice fade”. 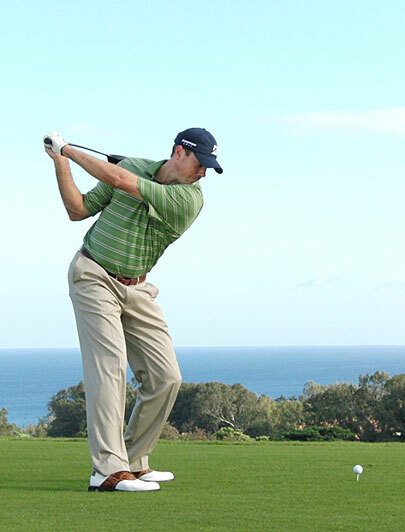 Instead of that wouldn’t it be much more helpful to say, “man, I bet if you could get more external hip rotation out of that left hip and more internal rotation out of your right hip in the transverse plane you would be able to position the club on plane while keeping the clubface square to the plane and possibly draw the ball”. I am being facetious, maybe that is what I am thinking, but we are going to discuss how this is very true for some players and could help them obtain the desired ball flight. These are the routes your joints have in your body for functional movement during everyday movement and during any athletics movement patterns you are trying to develop. It is important to understand these three planes of motion, because if one of the planes of motion are limited in one of your joints then compensations will pursue. So, when we look at the hips and their function in the golf swing we can see that there is some small movement in the frontal plane during the backswing laterally right, with some flexion in the sagittal plane, and significant rotation in the transverse plane. Watch the video below to see the amount of hip movement required in a Tour players’ hips during their golf swing. Go to the YouTube link on the side of the page to see examples of very slow motion PGA Tour golf swings to see the way they utilize their hips during the golf swing. 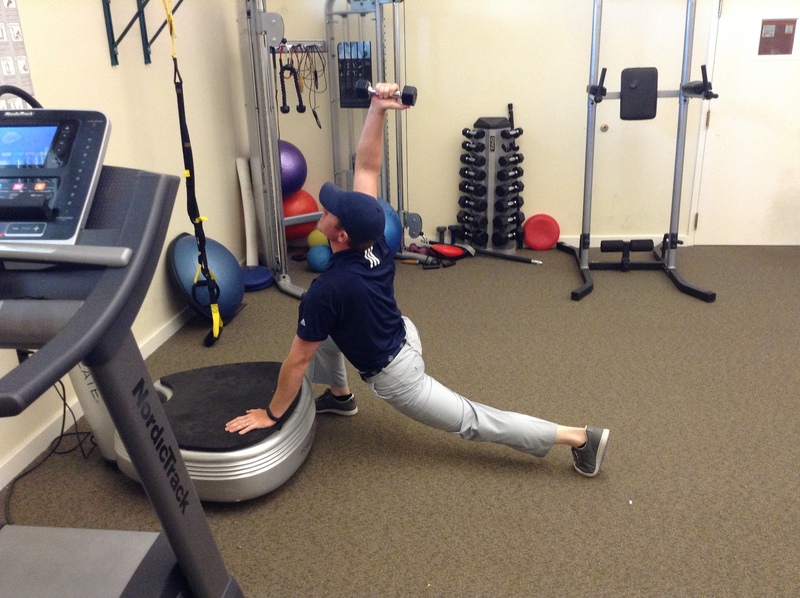 It is very easy to see the transverse movement required from the hips in the backswing. So, before you rush off and start training in the transverse plane for the next few months let’s talk about the effect and then a safe exercise matrix you can utilize to regain the correct movement patterns. 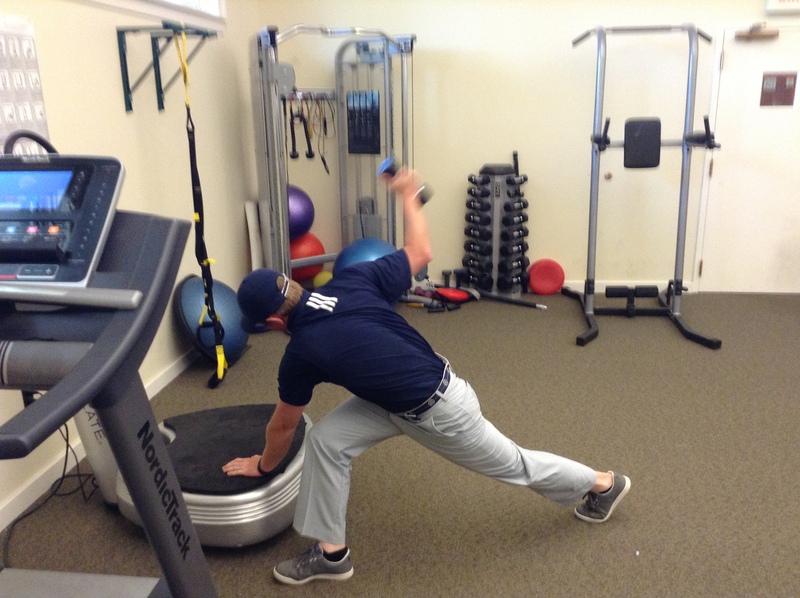 When I ask players, “what have you worked on in the past?” my favorite answer is, “my hips slide!” The simple answer would be to say, “Ok, we’ll let’s really get your hips turning in the backswing” and as a student that is probably what you have heard, but it is not my position to ask something of your body, if that is not comfortable or natural. The player will have a hard time repeating the motion under pressure if the body will not react in a natural movement pattern. You obviously know there is some lateral movement with your hips in the backswing and you may have mentally put time into working on rotating your hips in the backswing. My position is to help players figure out how to get their hips to move with so that there is a more natural pattern, because my belief is that the golf swing can be a very natural movement. 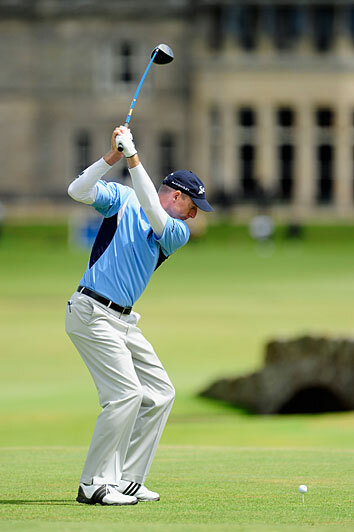 When we look at a player that lacks the ability to rotate or flex their hips during the backswing that is typically when I see players lift the club to a more vertical plane in their backswing, similar to Jim Furyk. Then I see lack of rotation and instead of hip flexion we actually see hip extension, which typically causes a player to open the clubface to the plane. These are the two aspects of the golf swing we discussed earlier that would affect ball flight on a basic level in the direction of a fade. When the club is swinging on a vertical plane higher than necessarily and the clubface is open relative to the swing plane, what do you think the odds are on returning the club to the necessary plane and clubface on the downswing to play that draw? This would answer why some days the slice in worse than others and why some days you can control your ball flight. 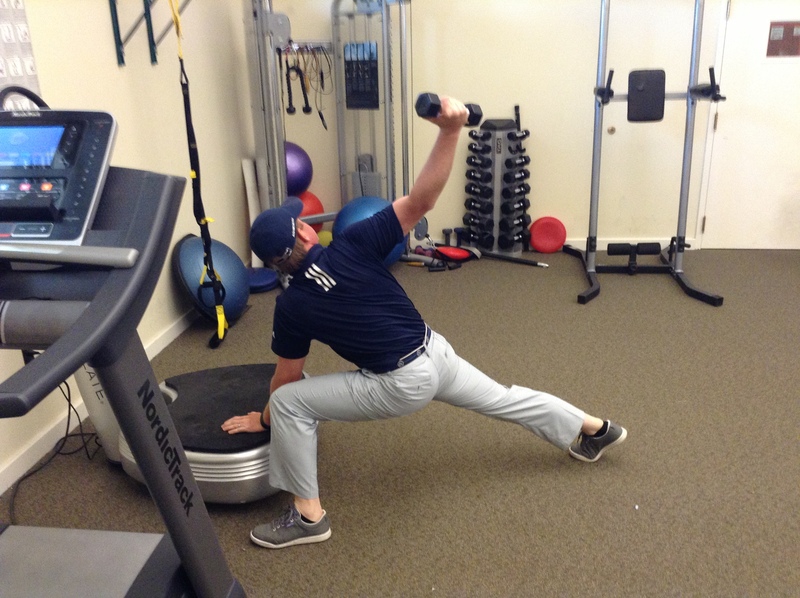 Now that we have had a short discussion on ball flight, swing plane, clubface, and the hip function in the golf swing we should talk about a simple matrix hip exercise to combat the effects a limited hip movement pattern can have on the golf swing. 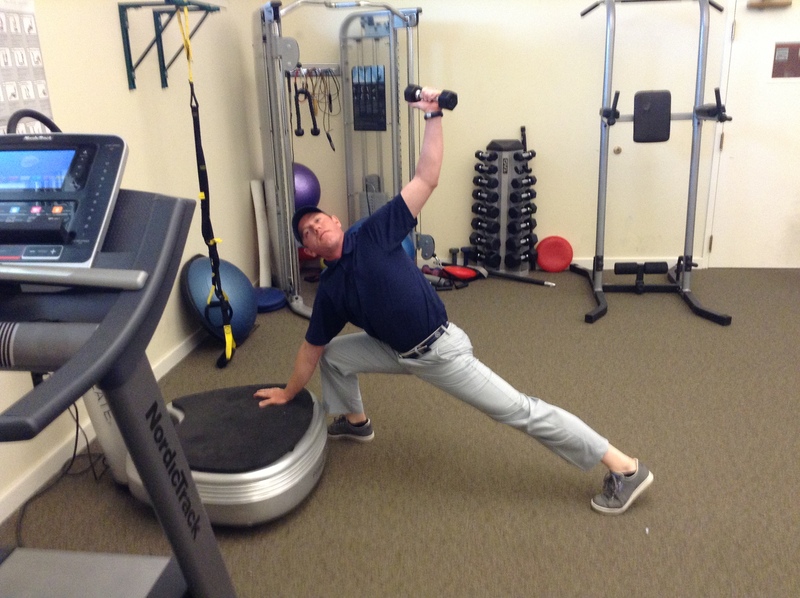 A matrix is nothing to be afraid of and is nothing more than a set of exercises, stretches, or movements that are designed to ensure that a joint is placed through all three planes of motion. This is the safest and most efficient way of ensuring that your joints are not limited in any of the planes of motion. Below there is a basic exercise plan that will focus on proper hip movement patterns in all three planes of motion and can safely create the movement needed from your hips to swing the club on the proper plane and allow the clubface position to stay square to the plane. What you will notice about this matrix is that there will be some upper torso (Thoracic Spin) and some ankle (Subtalar Joint) involved in the program. This is due to typically pain or lack of motion comes from the surrounding joints. This program you will need to take your time and see where your level of flexibility will allow you to start. These stretches are in order from easiest to difficult, notice where the feet are placed and where the hands are swinging the weight. I would start with a small amount of weight, the weight is mostly for momentum to assist you in reaching you end range of motion. 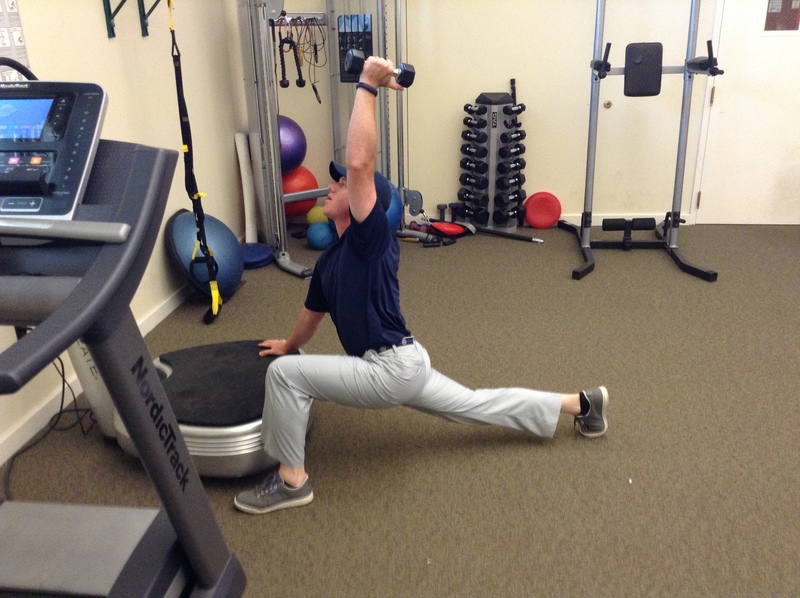 These exercises are a good start on getting your hips in shape to play your desired ball flight. Contact me if you are interested in a more inclusive workout program.